August 4, 2017 / lisa / Comments Off on We made the local paper! Thanks to the Lawrence Journal World and writer Nick Krug for taking the time to stop by the shop and talk about who we are and what we do. 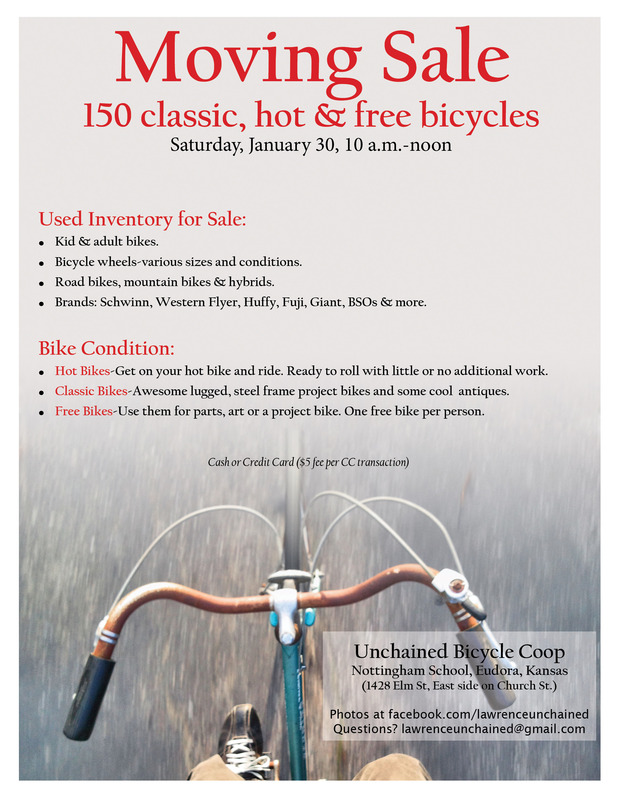 If you want an outsider’s perspective on how our bicycle co-op works, please check out the article. June 21, 2016 / lisa / Comments Off on 2016 Bike & Brews Cruise – success! On Thursday, June 16th, about 60 volunteers and friends of Lawrence Unchained rode from Cottin’s Farmers Market to Frank’s North Star Tavern, from there to the Free State Brewery pub downtown, and finally to the Free State East Side bottling plant and brewery, where we toured the facility and enjoyed excellent food from KB’s Smokehouse. Along the way, we enjoyed the beautiful weather, excellent company, good beer and food, and the thrill of a few raffle drawings. Thank you to everyone who came out and enjoyed the evening with us! We look forward to riding again next year. 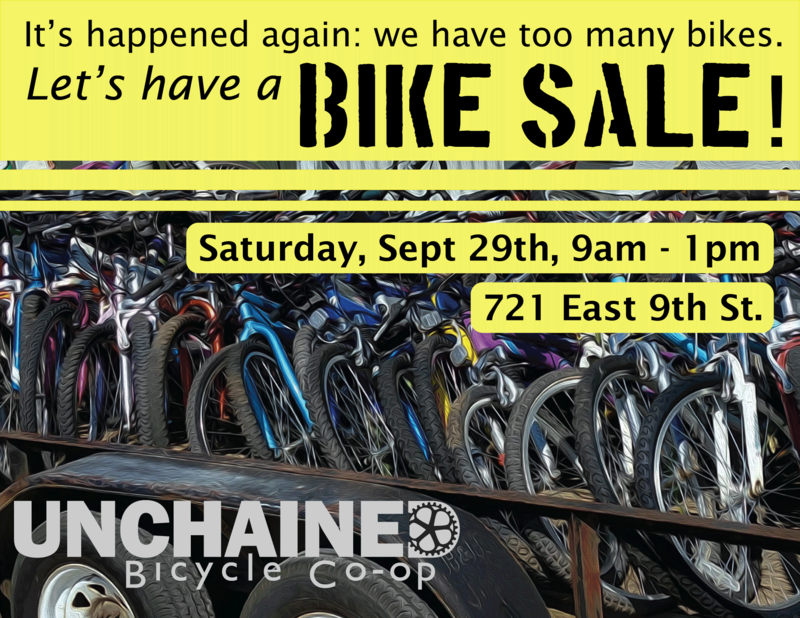 And thanks, also, to Free State Brewery for hosting our event, and all the businesses and individuals who support our efforts to recycle bicycles in Lawrence, Kansas, particularly the Lawrence Re-Cyclery and Anderson Rentals. In December, 2014, we received a Healthy Kids Work Group grant from LiveWell Lawrence to provide bikes, training and all the fixin’s (helmets, locks and lights, etc.) for 30 children in 2015. On June 20th, we had our first training session and bike give-away, and we will have our second session in July. You can read about one of our recipients on Wellcommons.com. 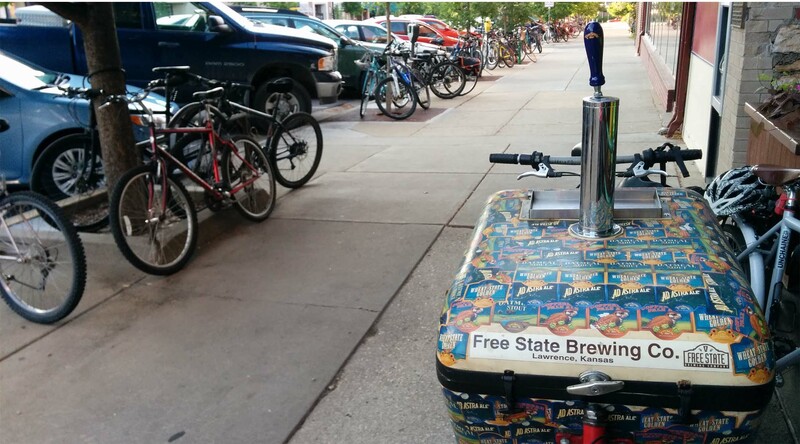 The Bikes and Brews event with Free State Brewery was a huge success, and we look forward to holding the even again next year! Thank you to everyone who rode with us! 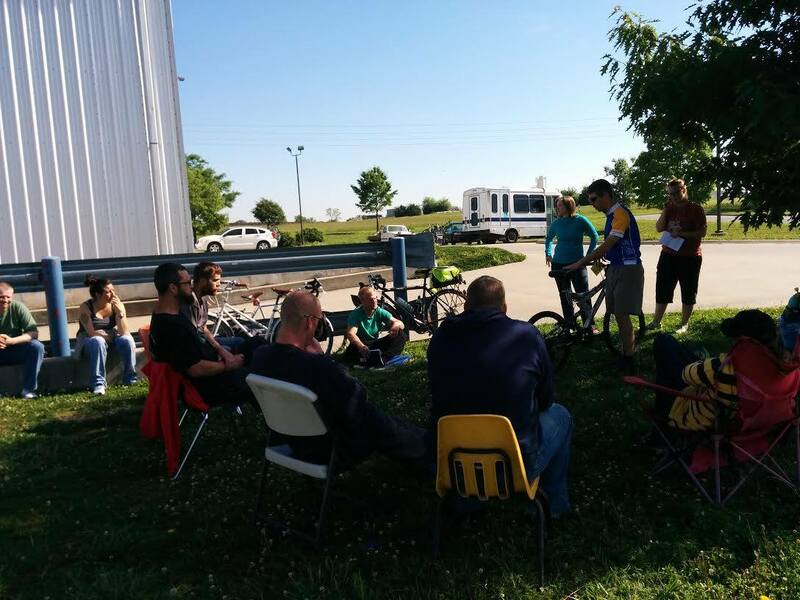 We had a very successful event in September, 2014, working with the Lawrence Community Shelter to provide bikes and maintenance training to their guests. Please email us (lawrenceunchained@gmail.com) with any questions.